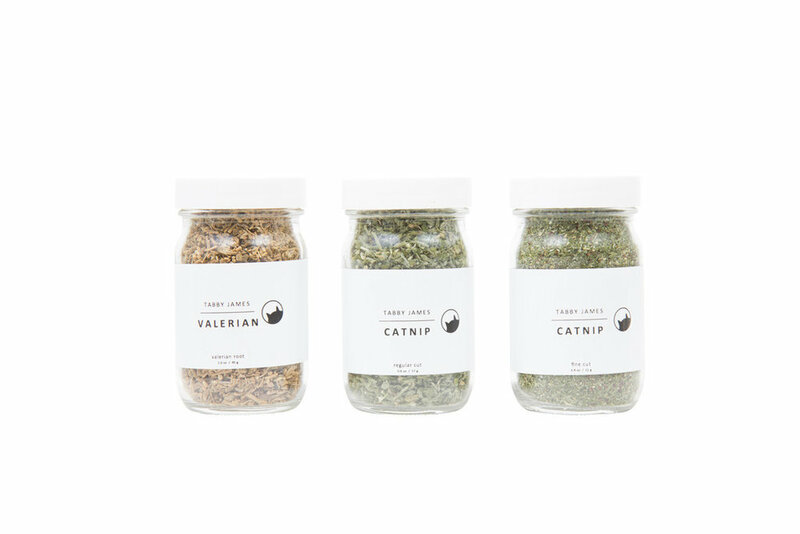 To celebrate Father's Day, we’ve teamed up with Tabby James Organic Catnip Company and The Dancing Cat for a fun Instagram giveaway! Cat Dads everywhere deserve the best! POST a photo of your cat and tell us why your cat dad is the best (if you don't have a cat dad, tell us why your cat mom deserves to win!) Tag your cat friends in your photo for additional entries. Up to 10 tags per user permitted. Winner will be chosen at random on June 12, 2016 at 6 PM EST. All the cool cats know this stuff is the shizzle. NO PURCHASE NECESSARY TO ENTER OR WIN AND A PURCHASE OF ANY KIND WILL NOT INCREASE YOUR CHANCES OF WINNING. ODDS OF WINNING WILL DEPEND ON THE TOTAL NUMBER OF ENTRIES RECEIVED. THIS IS A SKILL-BASED CONTEST. PRIZE ACCEPTANCE RELEASE MAY BE REQUIRED. SPONSOR OBTAINS A NON-EXCLUSIVE LICENSE TO POST AND USE ANY AND ALL CONTENT SUBMITTED AS PART OF THE CONTEST. VOID WHERE PROHIBITED BY LAW. 1. ELIGIBILITY: The TCB + TABBY JAMES + THE DANCING CAT Father's Day giveaway (the “Contest”) is open only to legal residents of the United States (excluding residents of Puerto Rico, all U.S. territories, possessions and overseas installations) and the District of Columbia who are at least eighteen (18) years old at the time of entry. The Contest is subject to all applicable federal, state, and local laws and regulations and is void where prohibited. 2. SPONSORS: That Cat Blog + Tabby James + The Dancing Cat (“Sponsors”). This Contest is in no way sponsored, endorsed, or administered by Instagram. You must abide by Instagram’s Terms and Conditions to participate in this Contest. 3. PRIZES: TWO (2) PRIZES: (1) Tabby James organic catnip mixed set and (1) assortment of The Dancing Cat Art greeting cards (4 pieces). No substitution of prize will be made except as provided herein at the Sponsor’s sole discretion. Sponsor reserves the right to substitute a prize for one of equal or greater value if the designated prize should become unavailable for any reason. Winner is responsible for all taxes and fees associated with prize receipt and/or use. Limit: One (1) prize per person. Prize is nontransferable. No cash alternative or prize substitutions allowed, except in Sponsor’s sole discretion. Prizes may not be sold, bartered, or exchanged by the winners. 4. TIMING: The Contest begins on June 7, 2016 at 7:00 p.m. Eastern Time (“ET”) and ends on June 12, 2016 at 6:00 p.m. ET (the “Contest Period”). Sponsor’s computer is the official time-keeping device for the Contest. (a) Follow Sponsor's Instagram feed @thatcatblog, @tabbyjamesco, and @thedancingcatart on Instagram. (b) Submit a post of a picture of your cat with the hashtag #CatDadContest and tell us why your cat dad is the best (or cat mom if circumstances require). Tag your cat friends in your photo for additional entries. Up to 10 tags ("Submissions") per user permitted. The Submission must be posted during the Contest Period. By using the hashtag in connection with your Instagram post, you acknowledge and agree that Sponsor has the right to stream your post through the Instagram API or otherwise use your post as set forth in these Official Rules and the terms and conditions. The Submission must be a participant's sole creative work and must not incorporate ideas or work of any other person or material that would require the consent of a third party in any jurisdiction or under any applicable law, other than Tabby James product images. Without limitation, the design must not infringe or violate any trademark, copyright, publicity right, privacy or any other right of any other person or entity, under any applicable law. By entering the Contest, you agree that your Submission conforms to the Content Restrictions as defined below (collectively, the “Guidelines and Restrictions”) and that Sponsor, in its sole discretion, may remove your Submission and disqualify you from the Contest if it believes that your Submission fails to conform to the Guidelines and Restrictions. • Submission must not contain material that is unlawful, in violation of or contrary to the laws or regulations in any state where Submission is created. Creating a Submission constitutes participant’s consent to give Sponsor a royalty-free, irrevocable, perpetual, non-exclusive license to use, reproduce, modify, publish, create derivative works from, and display such Submissions in whole or in part, on a worldwide basis, and to incorporate it into other works, in any form, media or technology now known or later developed, including for promotional or marketing purposes. If requested, entrant will sign any documentation that may be required for Sponsor or its designees to make use of the non-exclusive rights entrant is granting to use the Submission. Released Parties (as defined in Section 9, below) are not responsible for lost, late, stolen, damaged, incomplete, invalid, un-intelligible, garbled, delayed or misdirected Submissions; all of which will be void. You hereby forever waive and relinquish all so-called “moral rights” now or hereafter recognized in connection with entries submitted as part of the Contest. Sponsor and its agents shall not be responsible for returning or preservation of the images submitted or for compensating or crediting you in any way. All entries that are posted on Sponsor’s social media pages may be available to be viewed by anyone with access to the Internet. 6. AGREEMENT TO OFFICIAL RULES: Participation in this Contest constitutes entrant’s full and unconditional agreement to these Official Rules and Sponsor’s decisions, which are final and binding in all matters related to this Contest. Winning a prize is contingent upon fulfilling all requirements set forth herein. 7. WINNER DETERMINATION: After the conclusion of the Contest Period, one (1) winner will be randomly chosen from among all eligible Submissions received during the Contest Period. The confirmed winner will receive one (1) Tabby James catnip mixed set, valued at $20 and one (1) assortment of The Dancing Cat Art greeting cards, valued at $20. 8. WINNER REQUIREMENTS: Potential winners will be notified by Instagram message on or around June 12, 2016. If a potential winner cannot be contacted, does not comply with these Official Rules, or prize is returned as undeliverable, potential winner forfeits the prize. If a potential winner is disqualified for any reason, the prize may be awarded to a randomly chosen runner-up, if any, in Sponsor’s sole discretion. Only three (3) alternate winners may be determined, after which the applicable prize will remain un-awarded. Acceptance of any prize shall constitute and signify each winner’s agreement and consent that Sponsor and its designees may use the winner’s name, city, state, likeness, photo, Submission and/or prize information in connection with the Contest for promotional, advertising or other purposes, worldwide, in any and all media now known or hereafter devised, including the Internet, without limitation and without further payment, notification, permission or other consideration, except where prohibited by law. Without limiting the generality of these Official Rules, each winner shall irrevocably grant, transfer, convey and assign to Sponsor the entirety of the rights in and to the Submission and all renewals and extensions of copyright, and the right to secure copyright registrations thereto in perpetuity including, without limitation, the rights to use the Submission for any and all purposes in any and all media whether now known or hereafter developed, on a worldwide basis, in perpetuity. Each winner accepts and acknowledges that Sponsor shall not be obligated to use the Submission and that Sponsor in its sole discretion shall have the right to refrain from using the Submission. Sponsor shall not incur any liability whatsoever to the extent Sponsor chooses to refrain from any exploitation of its rights hereunder. Each winner will indemnify the Releasees (as defined in Section 9, below) and any licensee of Sponsor against all claims, damages, liabilities, and expenses (including reasonable counsel fees and legal expenses) arising out of any breach of these terms. Prizes will be fulfilled 1-3 weeks after the conclusion of the Contest. 9. RELEASE: Sponsor, Instagram, and their affiliates, subsidiaries, parent corporations and advertising and promotional agencies, and all of their officers, directors, shareholders, employees and agents (collectively, “Releasees”) are not responsible for: any incorrect or inaccurate entry information provided by a participant; human error; alteration of entries; entries that are processed late or incorrectly or are incomplete or lost. Illegible and incomplete entries are disqualified. All participants agree to release and hold harmless the Releasees from and against any claim or cause of action resulting from or arising out of participation in the Contest or use of any prize as a condition of entry into the Contest. False and/or deceptive entries or acts, including misrepresentation of age, shall render such entries ineligible. The laws of the State of New York apply to and govern this Contest and any claims must be raised and resolved in the state or federal courts of Kings County, New York. 10. GENERAL CONDITIONS: Sponsor reserves the right to cancel, suspend and/or modify the Contest, or any part of it, if any fraud, technical failures, human error or any other factor impairs the integrity or proper functioning of the Contest, as determined by Sponsor in its sole discretion. If terminated Sponsor may, in its sole discretion, determine the winners from among all non-suspect, eligible Submissions received up to time of such action using the judging procedure outlined above. Sponsor, in its sole discretion, reserves the right to disqualify any individual it finds to be tampering with the Submission process or the operation of the Contest or to be acting in violation of the Official Rules of this or any other promotion or in an unsportsmanlike or disruptive manner and void all associated Submissions. Any attempt by any person to deliberately undermine the legitimate operation of the Contest may be a violation of criminal and civil law, and, should such an attempt be made, Sponsor reserves the right to seek damages and other remedies (including attorneys’ fees) from any such person to the fullest extent permitted by law. Sponsor’s failure to enforce any term of these Official Rules shall not constitute a waiver of that provision. 11. LIMITATIONS OF LIABILITY: Releasees are not responsible for: (1) any incorrect or inaccurate information, whether caused by entrant, printing, typographical or other errors or by any of the equipment or programming associated with or utilized in the Contest; (2) technical failures of any kind, including, but not limited to malfunctions, interruptions, or disconnections in phone lines or network hardware or software; (3) unauthorized human intervention in any part of the Submission process or the Contest; (4) printing, typographical, technical, computer, network or human error which may occur in the administration of the Contest, the uploading, the processing or judging of Submissions, the announcement of the prizes or in any Contest-related materials; (5) late, lost, undeliverable, damaged or stolen mail; or (6) any injury or damage to persons or property which may be caused, directly or indirectly, in whole or in part, from entrant’s participation in the Contest or receipt or use or misuse of any prize (including any travel/activity related thereto). Releasees are not responsible for misdirected or undeliverable Submissions or for any technical problems, malfunctions of computer systems, servers, providers, hardware/software, lost or unavailable network connections or failed, incomplete, garbled or delayed computer transmission or any combination thereof. Released Parties are not responsible for any unauthorized third party use of any Submission. 12. DISPUTES: EXCEPT WHERE PROHIBITED, EACH PERSON WHO PARTICIPATES IN THE CONTEST IRREVOCABLY AGREES THAT SUCH DISPUTE(S) WILL BE RESOLVED SOLELY BY BINDING ARBITRATION BEFORE A SOLE ARBITRATOR, WITH EXPERIENCE IN ADVERTISING OR PROMOTION AND ENTERTAINMENT LAW, UNDER THE RULES AND REGULATIONS OF THE AMERICAN ARBITRATION ASSOCIATION (“AAA”); PROVIDED, HOWEVER, THAT NOTWITHSTANDING THE PARTIES’ DECISION TO RESOLVE ANY AND ALL DISPUTES ARISING UNDER THIS CONTEST THROUGH ARBITRATION, SPONSOR MAY (1) SEEK TO OBTAIN INJUNCTIVE RELIEF OR OTHER EQUITABLE RELIEF FROM A COURT TO ENFORCE THE PROVISIONS OF THESE OFFICIAL RULES; (2) BRING AN ACTION IN COURT TO PROTECT AND INTERPRET SPONSOR’S INTELLECTUAL PROPERTY RIGHTS; AND/OR (3) BRING AN ACTION TO ENFORCE THE DECISION OF THE ARBITRATOR BEFORE ANY COURT WITH APPLICABLE JURISDICTION. Entrant irrevocably waives any right to bring or join in any class action regarding the Contest. Judgment upon the arbitration award may be entered in any court having jurisdiction thereof. This arbitration provision shall be deemed to be self-executing, and in the event that any party fails to appear to any properly noticed arbitration proceeding, an award may be entered against such party notwithstanding said failure to appear. In no event shall any entrant seek or be entitled to rescission, injunctive or other equitable relief or to enjoin or restrain the operation of this Contest (or any website connected therewith), exploitation of any advertising or other materials issued in connection therewith, or exploitation of thi Contest (or any website or any content or other materials used or displayed on the website used in connection with the Contest) or the entrant’s Submission(s).